VoIP is an acronym for voice over internet protocol, so a VoIP phone call is made and received over the internet instead of traditional analogue lines. When I talk about VoIP to people they often have two impressions: either Skype (or a similar ‘free’ internet app), or a pricey Cisco or Avaya system that costs eye-watering amounts. And although these are both VoIP systems, the free and cheap apps are often unreliable and have atrocious call quality, while the expensive solutions cost far too much for most businesses. Bad call quality: VoIP often gets blamed for call quality and while VoIP is more likely to have quality issues than older technologies it’s worth knowing why and that’s pretty straightforward. VoIP relies on your internet so if you have a restricted broadband feed, or a capacity limit which is used by high intensity media applications this will absolutely have a negative effect on your call quality. When designing your phone system, your provider should take in to account your internet and the way you use it. Costly: Quotes for Avaya and Cisco systems have scared people off with a relatively simple phone system often costing thousands. But this isn’t the case any more and a good, full featured VoIP system is well within any SMEs budget. Some providers, including us, also offer rental options. Downtime: Partly connected to the bad call quality problem, people see VoIP as having way more downtime than conventional phone lines. While this was absolutely the case back when reliable internet was absurdly expensive it isn’t now, especially as most businesses have two internet circuits anyway. Loss of phone number: This is very rarely the case these days, almost all numbers from all providers can be ported with minimal downtime. If you are told you have to lose your number, shop around. VoIP is a massive subject and phones are an ingrained part of business, even more so than the internet or email. I don’t pretend that VoIP is perfect for everyone, there are pros and cons to consider for every business and it’s worth taking them in to account. Here are a few of each that I hope helps you. Mobility: Most VoIP systems will allow you to make and receive calls from any of your devices, including your mobile phone, desktop PC or allocated phone. Scalability: A good VoIP system can be easily expanded when your business grows, whether you are simply adding staff or wanting to switch up the way calls are handled or even if you want to open a new satellite office. Manageability: A good VoIP solution comes with a web user interface that allows complete control over your phone system. Feature-rich: VoIP has a huge number of features any business can take advantage of. Normally we tend to start simple and build up, but making the most of the technology can be a worthwhile challenge. Relies on your internet: VoIP is totally reliant on your internet. If your business has shaky internet maybe VoIP isn’t for you yet. But do give BT or Virgin a ring and ask if they have plans to improve the internet in your area. Sometimes, with a small prompt, speeds have been improved! Requires training: This often isn’t provided and there’s no getting around it, VoIP can be a complicated beast if just dumped in a user’s (or admins!) lap. Like anything, without training and support it’s easy to become overwhelmed and want your old system back. VoIP can be a really intimidating subject, however the benefits definitely outweigh the advantages for businesses, especially if you find a provider that will work with you. 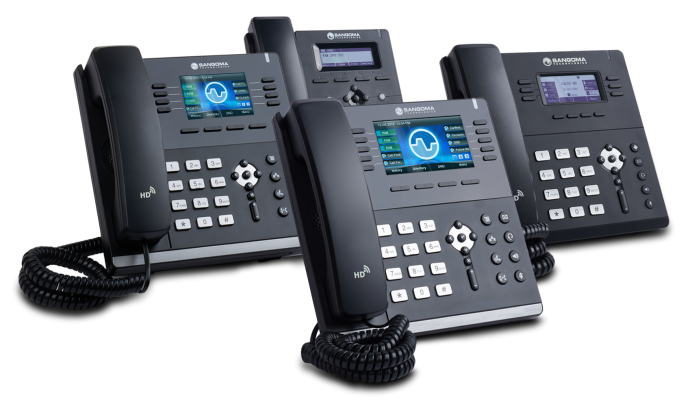 A well designed, properly installed phone system can really improve both the way your business kudos and its overall efficiency.